Industry Insight. Updates. Announcements. Fun. More than 12,000 of our closest friends in the oil and gas industry converged on Houston, TX just a few weeks ago for NAPE Summit 2019 – making it one of the biggest and best expos in recent years. The iLandMan team was particularly excited to be exhibiting side by side with our colleagues at P2 Energy Solutions who acquired iLandMan last summer. If the empty jambalaya pot at the end of the day is any indication, our first time sponsoring the Dallas Association of Professional Landmen Golf Tournament was a success! With our tent set up on the #5 tee box at Cowboys Golf Club in Grapevine, TX we really enjoyed the steady stream of golfers to visit with all day. The Renaissance Orlando at Seaworld was the absolutely beautiful setting for the 33rd National Association of Lease and Title Analysts Annual Conference. With the support of chapters throughout the country, various sponsors, and exhibitors, this year’s event encouraged folks to “bask in the rays of knowledge” through continuing education classes, workshops, and presentations. Windwalker Farms in Stanton, TX was the new spot for the PBLA Eric Hanson Memorial Sporting Clay Shoot this year and we are happy to report that it was a great venue for this fun event! With something like 700 shooters taking aim, it was again one of the biggest and best events organized by the folks at the PBLA. Another fantastic Summer NAPE Expo has come and gone and we are still unwinding and following up from this great event. We were excited to be featuring our largest booth space with the biggest iLandMan team that we have ever taken to this summer show. As always we enjoyed visiting with our current customers, old friends, and those interested in learning more about what we have to offer. You’ve probably heard by now that iLandMan has been brought under the P2 Energy Solutions product umbrella, which to us represents a humbling validation of what we’ve been building from the ground up for a long time. Leading upstream oil and gas software provider acquires iLandMan as part of strategic growth initiative. DENVER, COLORADO – (May 22, 2018) – P2 Energy Solutions (“P2”), the leader in upstream oil and gas software, announced today it has signed a definitive agreement to acquire iLandMan (“iLandMan”), a leading cloud-based land and lease management software provider. With over 1,000 people in attendance, 800 pounds of shrimp consumed, and 45 kegs of beer floated, the 2018 Permian Basin Landmen’s Association Shrimp Boil at The Bar was one for the record books! It was a beautiful day outside, and got a little hot, but things were cool under the big event tent where everyone feasted. The 11th Annual OCAPLTA Symposium was held in the Minders School of Business at Oklahoma City University. President of the OCAPLTA, Kelley Newkirk Konarik and her team did a great job hosting the event. The lineup of presenters covered a wide range of topics that were educational and entertaining. What do barbecue, beer, and a gigantic armor-plated armadillo have in common? The 2018 HAPL South Texas Social at Goode’s Armadillo Palace! We had a great time at this event in Houston this March as hundreds of landmen and friends gathered for a night of relaxation and fun. iLandMan and host of sponsors helped to provide food, drink, and tons of nice door prizes and giveaways for the crowd to enjoy. NAPE Summit 2018 in Houston, TX was the one of the biggest NAPE shows we have seen in years! With over 12,000 attendees and nearly 700 exhibitor booths, there was a buzz of excitement in the air about the state of the oil and gas industry. What a way to celebrate 25 years of NAPE with oil and gas professionals from around the word! Lafayette-based oil and gas lease management software company iLandMan welcomes Tom Wilson to the national sales team as Mid-Continent Regional Sales Executive based in Dallas, TX. A native of Camp Point, Illinois, Tom graduated from Tri-State State Baptist College in Walls, Mississippi before moving to Texas in 2007. 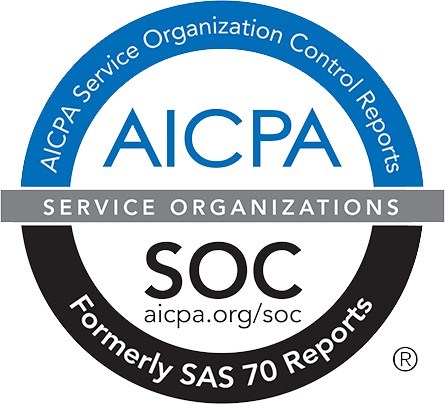 Over the next seven years, Tom held operations and sales positions of increasing responsibility, from overseeing field technology services to in-house web application development and more. The 55th annual Houston Association of Professional Landmen Golf Tournament has come and gone and we were lucky enough to have another absolutely beautiful day for all of the action. Despite having some serious flooding during Hurricane Harvey, the grounds at Kingwood Country Club were looking great and the hundreds of golfers and sponsors that came out were amazed by the hard work that had been done to get ready. This year’s PBLA Eric Hanson Memorial Sporting Clay Shoot began with a cold and foggy morning out at Jake’s Clays in Midland, TX… but that didn’t stop over 700 shooters from showing up to make it the biggest clay shoot that the PBLA has ever had! The Ted Walters team was setup bright and early with their custom cooking trailer fixing a delicious breakfast for the first batch of participants. Friends, football, food, and fun all came together last Monday for the 2017 Lafayette Association of Professional Landmen Membership Kickoff Party. It was a packed house at The Grouse Room here in Lafayette. The annual event offered folks the opportunity to mix and mingle, renew their LAPL memberships, listen to some great live music, and most importantly… watch some New Orleans Saints football! 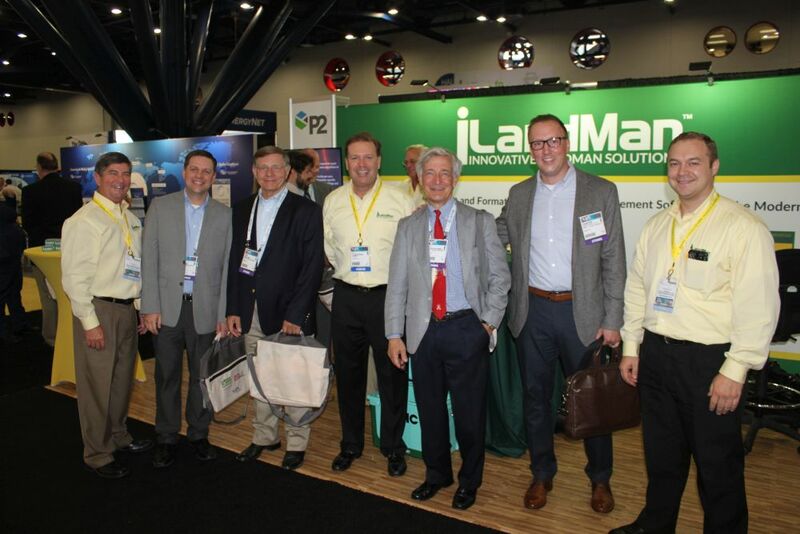 Downtown Houston was home to another successful Summer NAPE Expo last week at the George R. Brown Convention Center and as always the iLandMan team was in the mix. We were excited to have announced our new well data integration with TGS that Monday, and were very pleased with the response from folks stopping by the booth. Everyone was interested in learning more about this new integration and the powerful lease management automation we can provide to E&P companies. We are excited to announce that iLandMan is now offering nationwide well data and status information thanks to a new integration with geoscience data company TGS. This state of the art technology relationship provides iLandMan’s E&P clients with streamlined access to well information and status data directly from TGS’s database. These integrated well features now activate automatic notifications and lease functionality in iLandMan. The beautiful Hyatt Regency played host to a few hundred visitors for the PLS Dealmakers Prospect and Property Expo earlier this month in Dallas, TX. Richard and Adam were there with the iLandMan booth meeting and greeting folks from all over the country, talking about the industry and sharing the latest and greatest from iLandMan. Buyers, sellers, newly formed companies, and a handful of vendors all manned their booths and roamed the aisles of the Reunion Ballroom looking to make deals of one kind or another. The AAPL held its 63rd annual meeting this June in spectacular Seattle. The Emerald City welcomed landmen from around the country to enjoy its beautiful scenery, great food, and informational speakers. The educational lineup included panel discussions, sessions and presentations from industry experts of many different disciplines, and even featured Bill Thomas, CEO of EOG Resources, with his take on their success and today’s energy industry. During his career, Scott Nowak has deployed and utilized iLandMan successfully at two E&P companies. He was kind enough to share his experience utilizing iLandMan and the value it has provided for his company and his career. How many pounds of shrimp do you think it takes to satisfy over 800 people? Your guess is as good as ours, but we have been told that 20 kegs of beer only lasted two hours! What an amazing turnout last Wednesday for the 2017 Permian Basin Landmen’s Association Shrimp Boil at The Bar in Midland! Go big or go home was the iLandMan mantra this year for NAPE Summit 2017 as we debuted our new big booth and brought more team members to the show than ever before… and it was amazing! We were very excited to see the crowd headed our direction when they walked in the door, and were particularly looking forward to showing off our new automated obligations functionality on one of the four demonstration stations. We couldn’t have asked for a nicer day last week at the 54th annual Houston Association of Professional Landmen Golf Tournament. The sun was shining for the hundreds of golfers and sponsors that came out to Kingwood Country Club for the festivities. 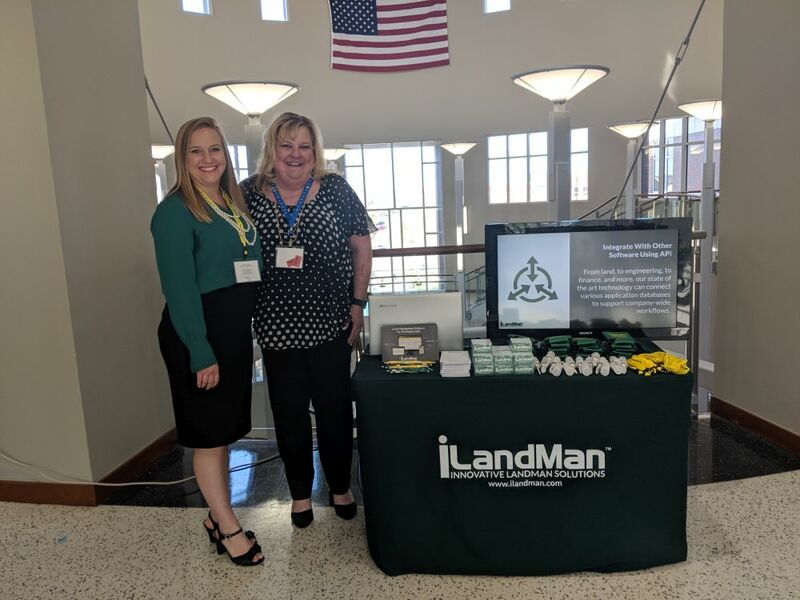 Last week iLandMan had the privilege of attending and also sponsoring the 2016 LAPL Fall Educational Seminar held at the Petroleum Club in Lafayette, LA. The one day event was well attended by local landmen who were instructed by oil and gas attorneys on such topics as: production in paying quantities (what is enough? ), unitization and regulatory issues common in Louisiana, recent legislative and jurisprudence of interest to oil and gas landmen, the “exciting” risk fee talk, and an ethics presentation. “What a difference a month makes!” This was the consensus at the annual PBLA Eric Hanson Memorial Sporting Clay Shoot last week in Midland, TX where the cool weather was quite a pleasant surprise to everyone who came out early for the big event. The iLandMan breakfast station was wiped out of Starbucks coffee and Jumburrito breakfast goodies within an hour and the first flight of shooters were itching to get out on the course. From the whitewater of downtown Oklahoma City to the country woods of Guthrie, we had a great trip to Oklahoma a few weeks ago for the 2016 OCAPL Sporting Clays Tournament. Can you believe there is whitewater rafting in downtown Oklahoma City? We had to see it for ourselves and were totally blown away by the beautiful facility and the exciting experience! Summer NAPE 2016 has come and gone and it was another great show at the George R. Brown Convention Center in Houston last week. We were excited to announce our new land and accounting software collaboration with OGsys on the opening day of the exhibits, and were very pleased with the response. We had dozens of folks stopping by the booth to learn more about this new integration. We are very pleased to officially announce that iLandMan and OGsys, Inc. have entered into a developmental business agreement to offer a fully integrated land management and accounting solution for exploration and production companies. This state of the art technology relationship promises to unite land teams and accounting departments through a truly integrated technical approach, where data meaningful to each side of the company can be appropriately shared between them.